Richard Jensen: Hey, Jake -- Don't worry, not on Gun Guy Radio. I'm just not sure when you record the This Week in Guns podcast. But I'd like your take (and I think Hank is also an Illinois resident) on the introduction of all these new gun control measures in Illinois during the 'lame duck' session. Did this just spring up with no warning? I heard the legislation may actually make it to the senate floor today (Thursday). How do citizens like yourself find out about these things? What actions can you really take since it looks like they are trying to get this pushed through in a week. Dicks & Troy: I’m not sure if your aware, but Troy Industries was selling their Troy Defense rifle known as the Troy Defense 5.56 Carbine exclusively through Dickless (Is it okay to say that? )Sporting Goods. DSG had a contract to move a lot of rifles for Troy Defense and offered a Black Friday sale on them, deeply discounting the rifles. $799 to be exact. Well, DSG would honor the price for back orders. Well you guessed it, when DSG stopped selling firearms, they said they will not honor the 1000's of back orders. Screwing all the customers and the sales of Troy Defense. The number of firearms-related background checks conducted nationally by the FBI set a record in 2012. And, the FBI conducted nearly 2.8 million background checks in December alone, more than any other month since the agency began keeping track of the background checks in November 1998. For 2012, the FBI says its National Instant Criminal Background Check System conducted 19.6 million firearms background checks. That's nearly a 20% increase compared with the 16.5 million checks done in 2011. The FBI has now done 160.5 million firearms-related background checks since it began the NICS system in November 1998. The number of firearms owned by Americans is estimated at about 300 million. Chris Bettura - Tampa Florida:I wanted to add this information to the vast amount of knowledge you guys provide us each week when you are on air with your podcast. Listening to you guys is one of the highlights of my week. I'm a psycho-therapist, and I patiently wait until Monday to play your new addition to your catalog while I'm between patients. 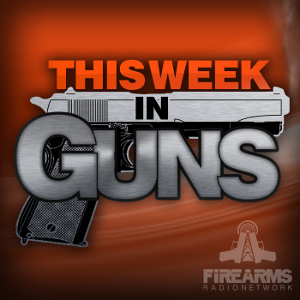 I have subscribed to all of the great shows on your network and wanted to thank all of you for what you do to ensure the public has the right information about gun care, gun handling, how firearms are a sport/lifestyle, and all of the other various topics you cover. Your new additions to the network have also been a true delight (AR-15 podcast, and the new round table) and also help Inadvertently keep Safety and the joy of the sport at the forefront of our minds (because its a no politics approach on the majority of your shows). The round table has just enough politics to keep you I informed and not to much that would burn you out/or border on fanatical . Anyways, thank you and keep on carrying everyday!!! P.s. this is the first time I have ever wrote in to any type of media related show, but with our freedoms in jeopardy, the lack of sleep I have been getting due to my fear of loosing the right to protect family, and the sense of selfishness I have been having for not participating, I had to stand up and due my part. I attached this writing research in a PDF format. If your unable to read please let me know and I can send as a word doc or other format I saved it in. It's 2 pages of truth that everyone should read, even the gun grabbers and ones who refuse to spend 10 minuets of thief time to get informed. They will wish they did if this Government gets their way and infringes on our most basic and important freedoms. Firearms stand next in importance to the constitution itself. They are the American people's liberty teeth and keystone under independence ... from the hour the Pilgrims landed to the present day, events, occurrences and tendencies prove that to ensure peace security and happiness, the riﬂe and pistol are equally indispensable ... the very atmosphere of ﬁrearms anywhere restrains evil interference - they deserve a place of honor with all that's good." Jews and others who were unable to defend themselves were rounded up and exterminated.